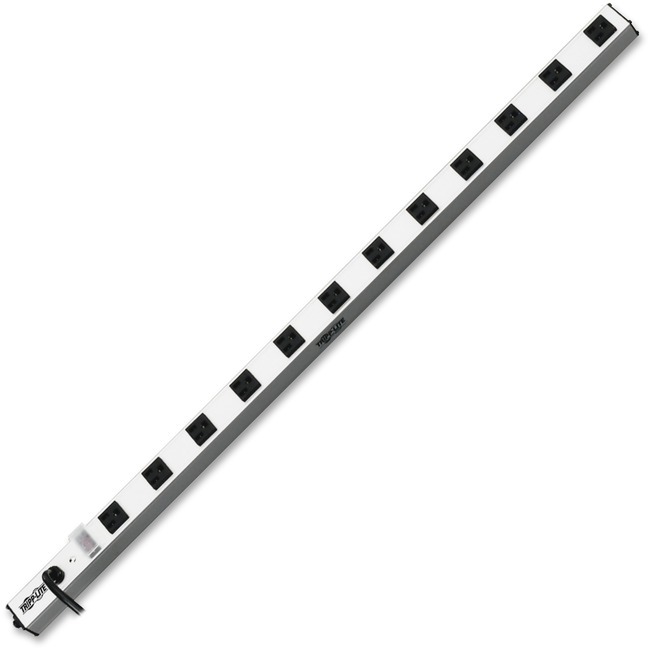 12-Outlet Vertical Power Strip offers 15 amp, 120V multi-outlet AC power distribution in a convenient 36" mountable housing. It is ideal for horizontal or vertical raceway-style power distribution in office, workbench, industrial, networking and telecom applications. Lighted, two-position switch controls power to all outlets and features a locking transparent cover to prevent accidental shutoff. Power strip includes 12 NEMA 5-15R output receptacles with 2-7/11" center-to-center spacing and 15' AC line cord. Sturdy, all-metal extruded aluminum housing stands up to demanding network, laboratory or factory environments. Power strip includes mounting clips.